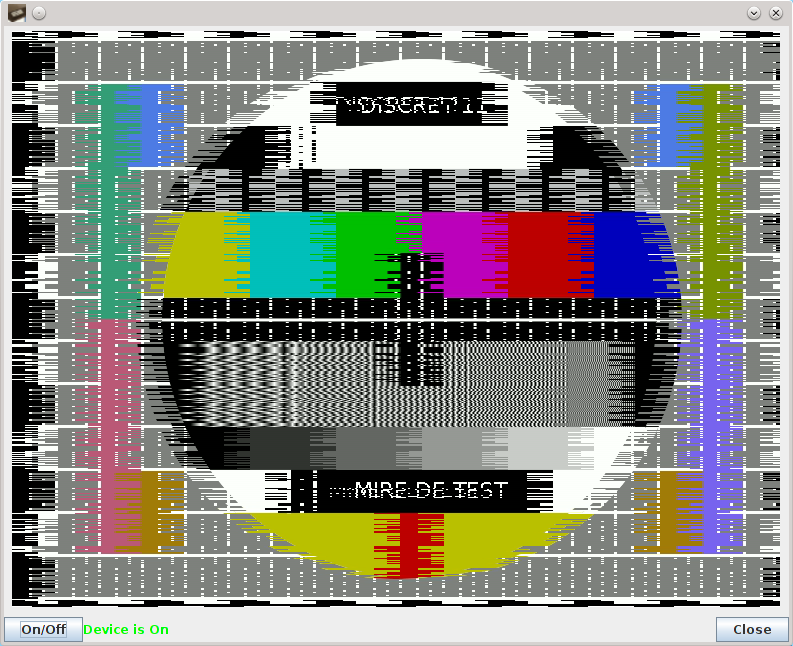 Cryptimage is an open source software under the license GNU GPL v3 which purpose is to reproduce old analog TV encryption systems like "discret 11" ( used between 1984 and 1995 by french TV network "canal plus" ) , "nagravision syster" ( used between 1995 and 2010 ) and "videocrypt" used by Sky TV and by several other broadcasters on astra satellites. 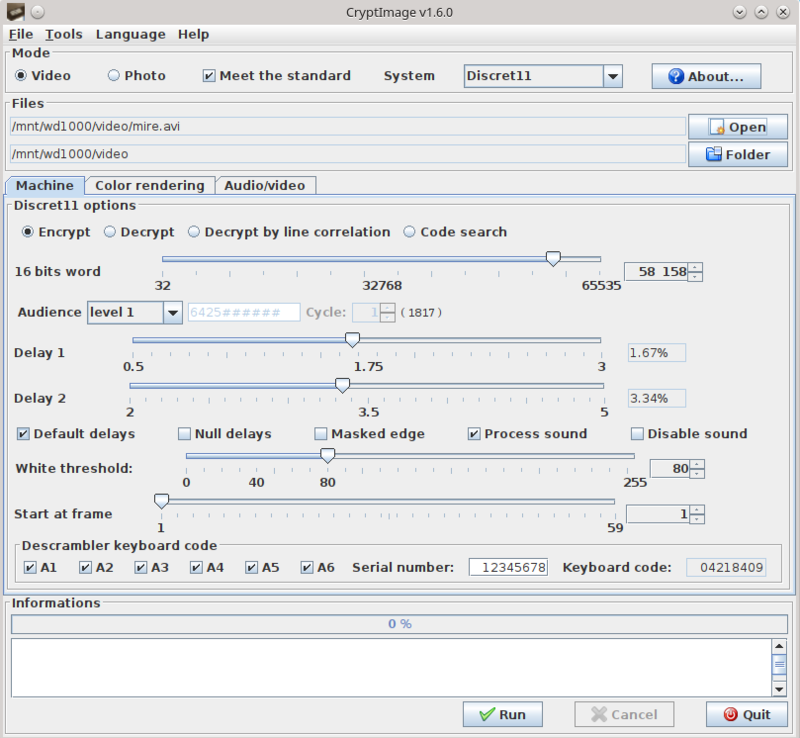 This software allows to encrypt a video file ( image and sound ) , and allows also a decryption of an encrypted file, by meeting the standard discret11, nagravision syster and videocrypt. Besides the ability to reproduce in a digital way these three encryption systems, its second use is to allow the re-use of hardware descramblers by injecting to them an encrypted video file produced by cryptimage. Do you like this software? To help with its development do not hesitate to make a donation of an amount of your choice, it's simple, fast and totally secure.